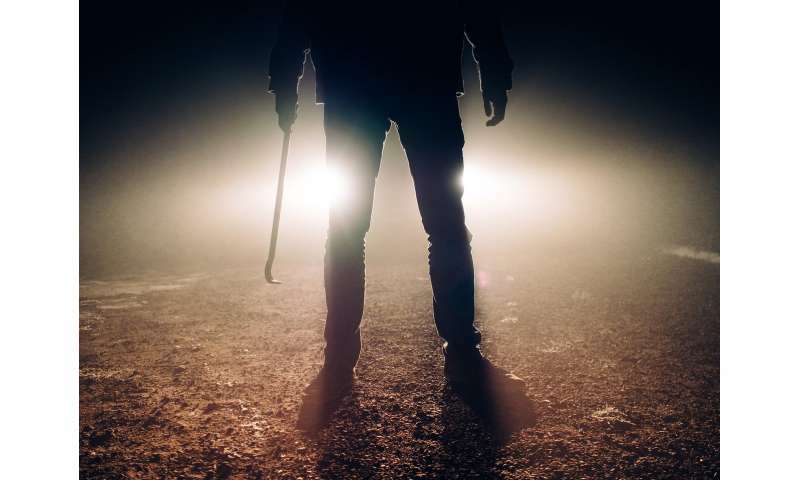 Despite the recent spate of knife violence and homicide in some UK cities, the number of people injured in serious violence in England and Wales dropped by 1.7 percent between 2017 and 2018, according to a report published by Cardiff University. Professor Jonathan Shepherd, one of the authors of the report, from the Crime and Security Research Institute at Cardiff University, said: "Violence levels in England and Wales have not changed significantly between 2017 and 2018. However, the longer term trend shows a large decline in serious violence; between 2010 and 2018 we have identified a drop of 41 percent in people needing treatment in emergency departments after violence." Overall, an estimated 187,584 people attended EDs in 2018 (3,162 less than in 2017). This follows a small increase (1 percent) in annual NVSN violence recorded in 2017, compared with 2016. Violent injury of males declined by 2.5 percent (3,297), but violence affecting females did not change significantly (up 0.24 percent; 134) compared to 2017. Decreases among children were largest (0-10 years, down 9.3 percent; 11-17 years, down 7.4 percent). Violence affecting those aged 51 years and over increased (up 5.2 percent) relative to 2017. Professor Shepherd said: "Many factors may be responsible for increases in weapon-related violence, including gang-related activity, increased weapon carrying and drug use. This is compounded by changes in police stop and search strategy. "Greater local effort to improve the quality of information collected in emergency departments and the use of this information by police and local authorities, working with the NHS in violence prevention units, is a priority. "Senior ED clinicians are in a prime position to lead NHS engagement with local authorities and the police in their joint statutory responsibilities to reduce violence in the towns, cities and rural areas which their EDs serve." The Cardiff Model for Violence Prevention- based on data sharing between hospitals, police and local authorities – has been adopted in many UK cities, and in some other countries including the US. This model, developed in Cardiff, identifies violence hotspots not known to the police and has contributed to a significant reduction in violent crime over the last 20 years. Professor Shepherd concluded: "Trends in violence are going in the right direction but a lot more prevention is achievable with determined multi-agency effort."